I love clowns. Clowns probably don’t love me, though, because I don’t love them for the right reasons. I’m not talking about a fetish or something like that. I mean that I find them ironically hilarious. Think about it: these are people who have spent countless hours perfecting their craft, dressing up in outlandish clothing and gaudy makeup, practicing comedic routines, and sincerely hoping to make a living by creating joy. Instead, many people are absolutely terrified of them. Children laugh at the silly antics of a woman with a big red nose while adults cower inside, peeking at the scene from within the safety of their own house. I’m not laughing with the children, nor am I laughing at the adults. I’m laughing at the whole scope of it. FernGully hates clowns. I should mention that before I go any further. I’m sorry, Ferny, but I cannot supress my affections for these walking, honking nightmares. The least I can do is use a header image for this article that doesn’t actually show any clowns. Some years ago, I took Ferny, doorXmouse, and another friend to an opera performed by a local university. One of them wanted to go to it (maybe it had something to do with a class), so we all went. None of us knew what the opera was about, so none of use knew what we were getting into. 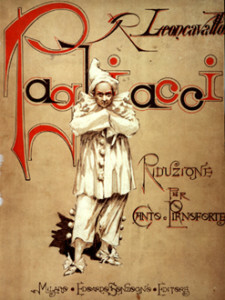 The show was called Pagliacci. Yes, that is a clown. A clown appeared on stage. Then another clown. Then another. Eventually, one of the clowns gets angry and murders a couple of people. I don’t want to spoil too much because you really need to experience this for yourself. Seriously, a pissed-off clown murders people. What more could you ask for in an opera? Nothing, that’s what. Ferny was seriously tensing up. My other friend and I, however, were doing all we could to keep from busting up laughing at the whole situation. Does that make me a bad person? That’s debatable, but what’s not debatable is that this 1892 opera is often mentioned in discussions about the rise of evil clowns in media, as it is one of the earliest recorded instances of a clown being portrayed in a malevolent light. The horror of the clown had existed long before even that, though. Some believe that clowns have always had a dark side, since they started out playing for adults, mocking real-world issues like politics and society. Jean-Gaspard Deburau, the original Pierrot, once killed a boy with his walking stick because he was mocking him on the street. It only took one blow, so maybe it was just an accident, but that doesn’t help the image it projects. 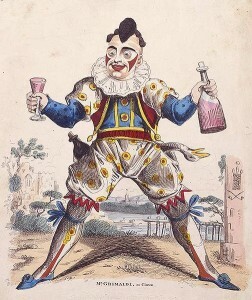 Perhaps more importantly to this matter, there was Joseph Grimaldi – a clown so immensely popular that his persona blended into his real, emotionally tragic self. Also, he was constantly hurting himself to make people laugh, and if that level of violently chaotic humour doesn’t sum up what makes a clown so terrifyingly unpredictable, I don’t know what does. 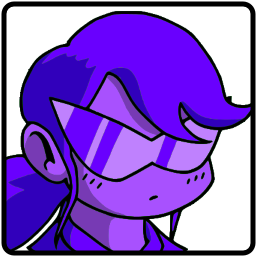 Grimaldi’s persona, Joey. I think this speaks for itself. It seems that the image of the evil clown really took off in the 1980’s and 90’s, though, through the actions of Pogo the Clown, a monster who sometimes masqueraded as the human John Wayne Gacy, Jr., and the publishing of Stephen King’s It (and the miniseries adaptation that most people remember), amidst many other horror stories. Most recently, we’ve had the notable addition of Twisty the Clown from American Horror Story, which I actually don’t watch so I won’t pretend to know anything about it.